You are an athlete; a renaissance man, of sorts. You are the Dion Sanders of booze. You need the gear to help perfect your sport. This shot glass is the prefect way to begin your drinking memorabilia collection! 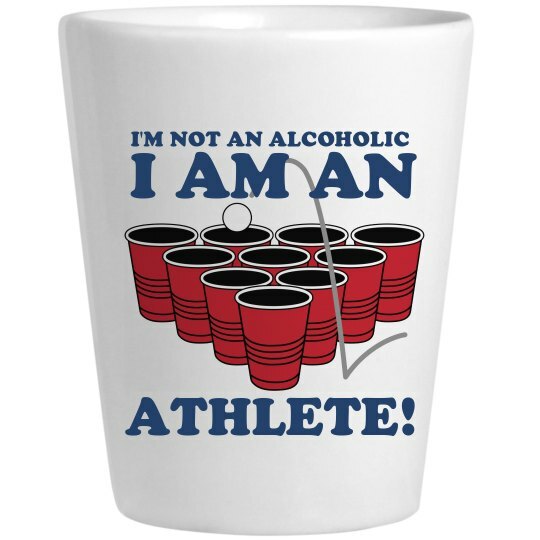 Custom Text: I'M NOT AN ALCOHOLIC | I AM AN | ATHLETE!